Whippet Rescue and Placement is incorporated as a not-for-profit 501(C)3 organization. As such, all donations are fully tax deductible to the extent allowable by law. 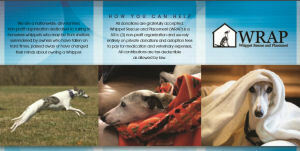 WRAP is an all-volunteer organization and members generously donate their time and resources to help Whippets in need. 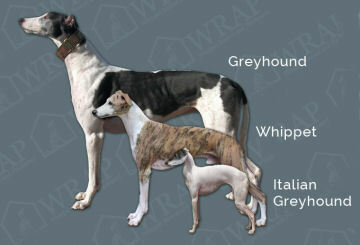 Whippet Rescue and Placement, Inc. Donate online using your credit or debit card or your PayPal account. PLEASE NOTE: If you’d like to receive a letter of thanks, stating your donation amount for tax purposes, please include your mailing address. Thank you for your support! Get the WRAP brochure! Save, email as an attachment, or print and share.